Please support our Hole Sponsors. You can call them at 434-577-4464. 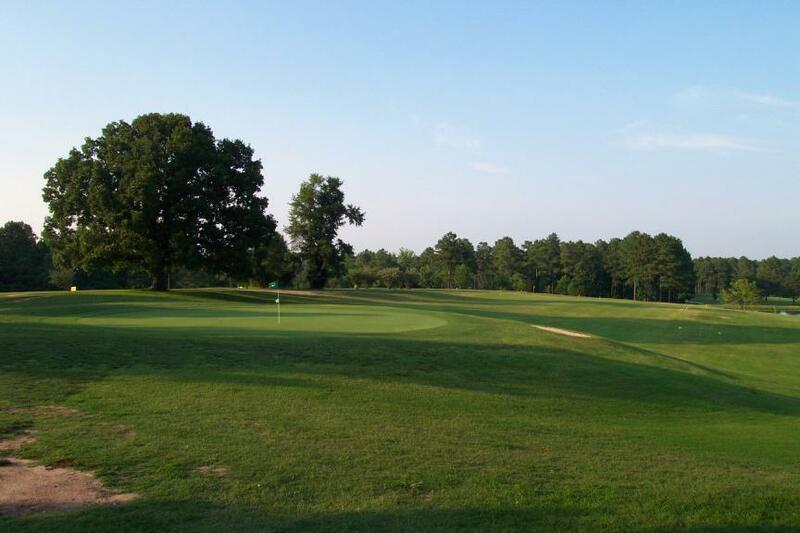 Hole #18 is very challenging and will make you thankful that it is the end of your round. You must hit your drive at least 200 yards in order to have a second shot towards the green. 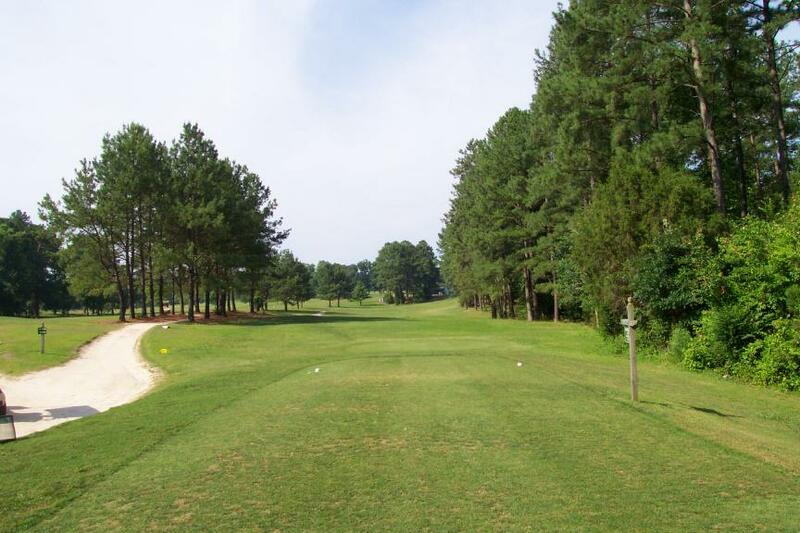 This 480-yard Par 5, with a sharp dogleg to the right is lined with tall Pine trees on the right side of the fairway making it virtually impossible to 'cut the corner'. 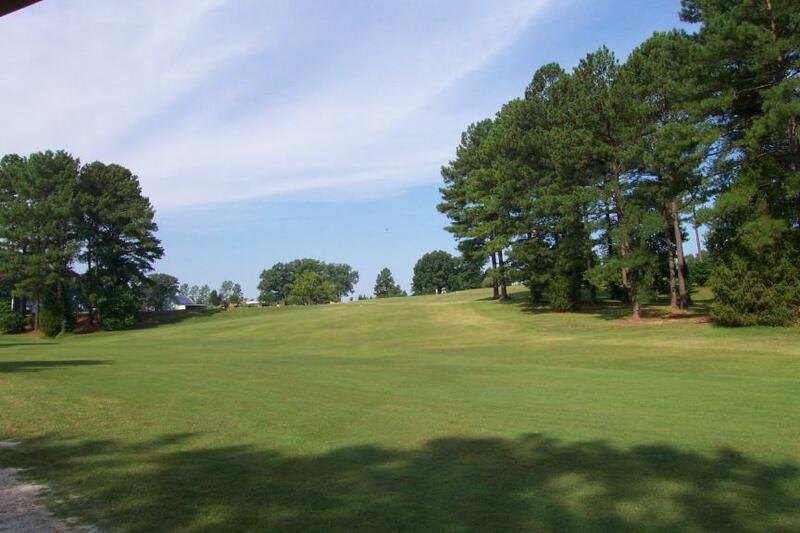 Your approach shot must land on the plateau of the green. If you're short, it won't bounce to the green because of the uphill slope. This picture is a reverse angle of the approach shot to the green.